There are several ways to teach homeschool history curriculum to your children using traditional, structured methods or less formal approaches. Learn the style that best fits your family for the most success. My personal definition of curriculum is a system used to teach a topic that includes the necessary resources and some type of a schedule. That schedule can be as rigid or as loose as you need and the materials can be as varied as possible. The resources will typically include books, worksheets, videos, games, and possibly field trips or supplemental activities. So, within the home school setting, a "curriculum" would be the methods and materials used to teach a specific group of topics to your child in United States, World, or Ancient History, for example. This method will generally begin with the acquisition of the particular publisher's materials you decide to use with your family. 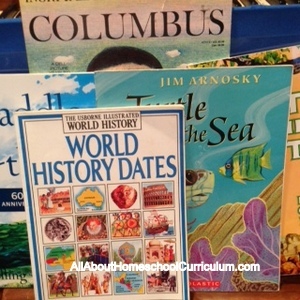 ABeka, Bob Jones, and similar publishers provide complete curriculum to teach history for all grade levels. 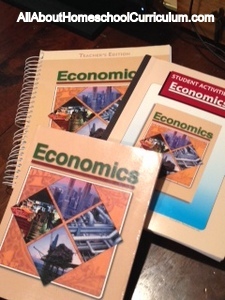 Their resources include student texts, teacher's editions with answers, teaching guides with daily instructional information, maps, test booklets, and student activities books, too. You can use these to teach a single child or combine children of different grade levels for group instruction and discussion. This method works very well for motivated and independent learners who can receive an assignment, complete the comprehension questions on their own, and proceed to the chapter review and test. The majority of our high school lessons utilize this type of format because our children are almost totally independent learners by this time. There are programs such as Drive thru History which use a visual approach to teaching historical information. The videos take you to historical places to learn about the people and events from specific time periods. There are also downloadable discussion guides and some answer keys for several videos. These videos can be obtained by ordering from Christian Book Distributors or their website, http://www.drivethruhistory.com/. We have enjoyed many of these videos as well as some found at YouTube.com which covers many topics found in a homeschool history curriculum. If you're not familiar with unit studies, let me briefly explain them here. A unit study is an approach to studying where you examine a particular "unit of study" using multiple sensory and instructional aids. For example, if you were doing a unit on Hearing, you might draw pictures of the ears for Art/Science, listen to an opera for Music, write a report on how the ears function, create a 3-D model of an ear, visit a science museum where you'd experience the workings of a human ear, etc. This approach of studying the topic from various disciplines works to increase a child's understanding and retention of the topic, and maybe the parent's understanding will be increased, as well. So, if you were studying a history unit study, you would be sure to incorporate all the subjects from Bible to the Fine Arts to look at your topic closely from all sides. This approach allows you to teach multiple grades at once and allows everyone to work together on the same topic. Another way to teach history includes using real books found at the library such as biographies and historical fiction that spans certain eras. For instance, Scholastic has a great series called "If You Lived…" that features what it would have been like to live during certain time periods. There are also many great biographies written for even the youngest readers to learn about the lives of famous historical characters or events. An added benefit of using library resources is that you can get materials that are very current and relevant to your topic. 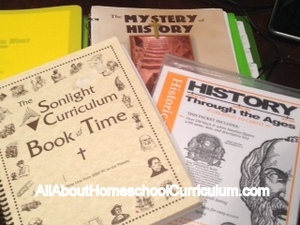 You can choose one or more of these homeschool history curriculum options or select an entirely different method such as online instruction. The most important decision is that you select a program that works for you and your children.